The Department of Agriculture, Forestry and Fisheries gave a presentation on the responses to the issues raised during the extended public hearings on the National Forests Amendment Bill. Six main issues were dealt with, covering the management of plantations, the long-term leases, land reform issues, delays with water licensing, and the conditions of employees and the communities that live in and around the forests. The Committee agreed that the 300 days allocated for water licences was too long, and should be revisited and reduced. It also requested a list of all stakeholders invited to the public hearings due to the concerns received from community stakeholders that they were not being invited to meetings concerning issues that affected them. As a way forward, the DAFF requested the assistance of the Portfolio Committee in coordinating a discussion with the other Portfolio Committees on environmental affairs, water and sanitation, rural development and land reform, and public enterprises, to address all cross-cutting issues emanating from the public consultations. It was impossible to deal with all the issues without assistance from other departments. In addition, the DAFF recommended that the Minister should lead an inter-ministerial coordination initiative to address all the cross-cutting issues. The Department would continue to track and ensure that all work and matters raised had been finalised. 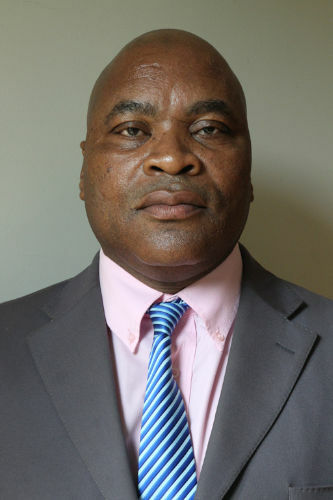 The Chairperson said that land issues must be given to the Forestry Sector Charter Council to investigate for the Department, because they were the implementers. The Committee said it was not impressed with the DAFF’s report, because it was a repetition of issues discussed last year. There was agreement that all the issues raised should be revisited by the Council, and that its report should be presented to the Committee. The Chairperson asked why the chairperson of the Forestry Sector Charter Council was not available at the meeting. 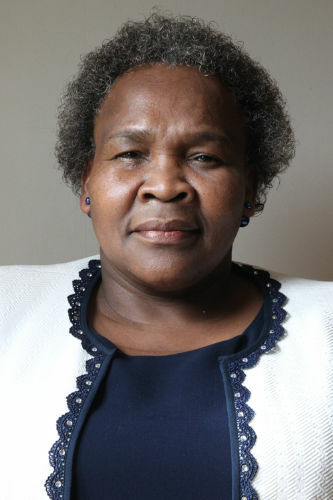 Ms Siphokazi Ndudane, Acting Deputy Director-General (DDG), said she was not aware that there was an invitation. The Chairperson emphasized that it was important for the chairperson to be available where forestry issues were concerned, because he was the one who monitored the Council. Ms Ndudane apologised and said the chairperson would be invited to the discussion of the same amendment Bill the following Tuesday. Conditions of communities that live in and around the forests. The information that had been provided by the communities had been sent to the various stakeholders. They had met with some stakeholders and others had submitted written responses. The written responses were from Mountains to Oceans (MTO) Group, Forestry South Africa (FSA), South African Forestry Company Limited (SAFCOL) and the Charter Council. Meetings had also been conducted with other stakeholders, but they were still in the process of following up with the Department regarding the deadline given to them. The follow up on how consultation had been conducted was one of the issues that were raised by the Amakhosi (tribal leaders). After doing re-consultation, which they had been requested to do in that area, 365 people had attended the session during the period from 7 to 11 November 2017. The communities requested more information on land-related issues, and had asked for assistance from the KwaZulu-Natal (KZN) regional land commissioner. They also asked for further discussion on forestry issues, with participation by the communities, industry and government. Communities raised concerns regarding lease agreement issues, where they complained of not benefiting from them. 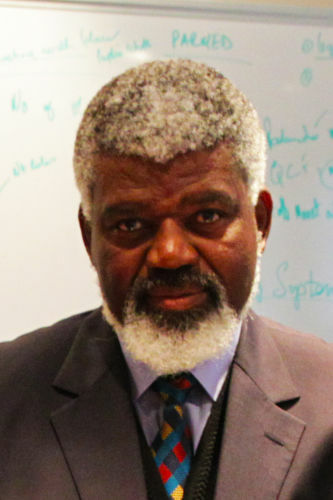 The response to this was that when a lease was signed during the privatisation process, it was a government approach that was led by the Department of the Public Enterprises, and the Departments of Agriculture, Forestry and Fisheries (DAFF), Rural Development and Land Reform (DRDLR), Public Works (DPW) and National Treasury (NT) were involved. No claims were finalised during the lease signing period, but they were documented for completion by engaging the communities later on. The DRDLR was therefore now working on a settlement agreement which ensured the involvement of communities in the lease agreements. In addition to this, the companies which were leasing land from the government had signed three different agreements. The DAFF dealt with sustainable forest management agreements, which looked at the management of forests. The Department monitored this and could deal with non-compliance issues. Another issue raised was that of forestry villages, especially in the Western Cape, which were in discussions with the municipalities that were supposed to take over the management of the villages. In the meantime, R550 000 was being spent every year to maintain and provide services to those villages. The DAFF had engaged with the DRDLR regarding the title deeds. For example, the Singisi communities indicated that there was some work that needed to be done to issue the title deeds, such as finalising community profiles for the Eastern Cape (EC) and KZN and logging the documents so that certificates could be issued and the title deeds completed. There had been no time limit for how the Department of Water and Sanitation (DWS) would deal with water use licences, but through the DAFF’s intervention it had now been set at 300 days. The DAFF was not pleased with the timeframe, and was therefore working towards reducing the number of days. Meanwhile, the Department was conducting an environmental impact assessment on behalf of the communities to reduce the cost to get authorisation. So far authorisation had been received for 10 500 hectares (ha) in the Eastern Cape, of which 8 000 ha had been planted. In KZN, 4 500 ha had been submitted to the DEA for processing. Regarding plantation, there had been concerns that the DAFF was not contributing what was expected from them. The Department had acknowledged that they had been unable to fulfill their responsibilities due to a lack of funding and human resources, so they had developed models that could assist in managing the plantations. Consultations on the models would be carried out in the first quarter of the financial year. The models would be linked to the agroforestry strategy to ensure sustainability of the projects. Currently, implementation had begun in Mpumalanga and Limpopo. Farmers had been connected with institutions to ensure sustainability of the projects. The Department had held a forest development forum in all the forestry provinces, which were Western Cape, Eastern Cape, Limpopo and Mpumalanga. There had been discussions mainly with the Western Cape forestry forum, and an action plan had been developed with all stakeholders. Other stakeholders such as the provincial DRDLR, the DPW and the local and district municipalities, had been included to assist in addressing some of the issues raised. Funds were also being sourced from the Japan International Cooperation Agency (JICA) to support the functioning of the forum. Although the DAFF paid more than the minimum wage, it recognised that living conditions were poor in some of the plantations. Funding constraints were a limitation to addressing this problem and achieving its objectives. It was working on resolving this problem when it had enough funds. Ms Nodada presented the responses the Department had received from some of the stakeholders. One of the issues raised by DAFF was that companies did not employ local people within the communities where they operated, and also working conditions were poor. FSA had responded that their companies preferred to hire residents because it was cost effective from a transport and housing perspective, compared to employing people living outside the area. Regarding poor working conditions, FSA specified that non-adherence to labour laws would not be tolerated, as companies were supposed to comply with labour laws. The issue should be therefore beinvestigated by the Department of Labour. FSA acknowledged that transformation was slow, but they were working on it so far there was good progress. The Forestry Charter Council had also been sent a letter for their response to non-compliance of companies in terms of forestry sector code. Their response was that compliance was a result of companies being verified by either generic or other scorecards, but they did not undertake Broad-based Black Economic Empowerment (BBBEE) in general due to a lack of understanding of its strategic value. They had also indicated that the Council had no enforcement controls. SAFCOL had responded in terms of access for communities. They had said they followed a procedure on how access was controlled, and this helped to manage illegal activities that occurred. Regarding pensions for ex-employees, there was an agreement with SAFCOL, MTO and the Western Cape Forest Sector Forum (WCFSF) that there must be a further investigation, because more information was required -- such as a list of the people affected which would make it easy track the progress of pensions and ensure accountability. The issues raised was the honeybush tea project that had been stopped in Tsitsikama. The MTO had stopped the project because of non-compliance of the harvesters to the permit issued by the Department of Environmental Affairs. As a result of this, the Koukamma Local Municipality was developing new strategies that would ensure sustainable harvesting, which would be led by the municipality. Another issue raised was the lack of transparency in lease agreementd between the DAFF and forestry companies. The MTO had responded that the lease agreements were confidential and all parties must accept the information provided. Regarding non-adherence to labour laws and unfair treatment of labour, MTO had responded that they conform to all the national and international legislative frameworks, and were certified by international organisations in terms of sustainable forest management, which also checked labour issues. Ms Nodada presented the additional information needed that would be essential in responding to all the issues raised by the communities. DAFF had identified the need for continued engagement with other government departments and the forestry industry to track the progress of matters raised. The DAFF also recognised the need for the continued implementation of the agroforestry strategy to manage poverty, food insecurity and skills development. For rural development, the DAFF proposes the prioritisation of the state forest plantations claims. This would assist in ensuring that communities were benefiting from the plantations. It also pointed out the importance of the functioning of the Communal Property Associations (CPAs) and trusts, as it enabled clarity to be provided of beneficiaries, and how the benefits were extended to communities. In respect of labour, the Department proposes the continued inspection of forestry companies to ensure that they adhere to the laws, and for the DPW to assist the DAFF in fast-tracking a process to improve the housing conditions of employees. As a way forward, DAFF requested the assistance of the Portfolio Committee in coordinating a discussion with the other Portfolio Committees on environmental affairs, water and sanitation, rural development and land reform, and public enterprises, to address all cross-cutting issues emanating from the public consultations, because it was impossible to deal with all issues without assistance from other departments. In addition, the DAFF recommended that the Minister should lead an inter-ministerial coordination initiative to address all the cross-cutting issues. The Department would continue to track and ensure that all work and issues raised had been finalised. Mr H Kruger (DA) said the Committee had been given different information, compared to the feedback provided by companies like MTO. He pointed out that 300 days was close to a year, and no business could wait for a year for a licence, especially if one was in a growing business, so it was not acceptable. The 300 days needed to be revised to something like ten days, because a year was too long. The DAFF also talked about the intervention of other departments. There had been communication with the communities, and most of their complaints had been related to small businesses and skills development among those taking part in the whole forestry business and businesses around the forests, but there had been no discussion concerning small business development. The job of the Department of Small Businesses Development (DSBD) was to develop small businesses around the communities, and he did not understand why the Department was not talking about small businesses and the communities’ concerns. There was a possibility that big businesses in forestry bullied the small businesses. They say that they use local people, yet people on the ground confirm being bullied by businesses which were bringing in people from Mpumalanga. The companies were bulling small businesses and the Department. Therefore forestry had to be revisited in South Africa. He added that he wondered why trees were being planted that were not water wise. Mr S Mncwabe (AIC) agreed with Mr Kruger’s sentiments. He expressed concern that some departments had been told to engage, but he did not see the DSBD. 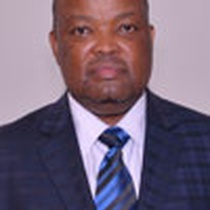 He had expected to see an agreement between the DAFF and the DSBD, because they had the resources for implementation, and suggested this avenue should be revisited. He pointed out how embarrassing it was to have the Amakhosi leave them at a gathering. The report had referred to issues raised by the Amakhosi, but was not clear whether they had had a meeting with them. Departments went to people on the ground and conducted their public meetings without talking to the people. There was a need for clarity as to whether they had been identified as a group and been approached to collect information from them. Bypassing the Amakhosi and going straight to the people with the same issue was a sensitive issue, and invited unnecessary problems. Mr Mncwabe also put emphasis on the Department of Water and Sanitation. He agreed with the proposal that there must be meetings with them, and agreed with Mr Kruger on the importance of the water licences. The issue had been raised at one of the public hearings. It was not necessary for someone to wait for 300 days to get a licence for water. Mr W Maphanga (ANC) asked questions based on the responses from the sector stakeholders. He said that the community chairperson had raised the issue of pensions. There was a concern by community members who had worked in the forestry industry for more than 40 years, but did not receive any money on retirement. The workers’ pension issue was sensitive, and he wanted to know the extent of the investigation and time frame allocated towards the conclusion of the issue being investigated. He raised the issue of employees being evicted, which contradicted the response of the MTO stakeholder, who had mentioned that they could not evict anyone. Mr N Capa (ANC) was concerned about the responses brought to the Department from the stakeholders, saying he believed that the responses were not true. He asked if the Department was satisfied with the stakeholders’ responses, and what evidence would be used to indicate there was a change and they were doing what they had presented. Mr A Madella (ANC) was worried about some of the responses to the questions that had been raised, as they were a bureaucratic and academic response. For instance, the response to the lack of women’s representation and participation did not mention the actions being implemented to address the issues raised. The answer only specified that it was extracted from the amended BBBEE codes. The response on the issue of non-involvement of communities residing close to state forests did not mention what the Department was doing to address the issue. He suggested that the response given on the fire programme should have reflected the number people that had been helped with access to employment opportunities. He was concerned about the Pensiona Act, as there was no labour representation, which showed that the workers in the forestry sector were highly unorganized. Workers had to be represented in labour forums so that they could also participate in finding solutions to their problems. Community stakeholders had raised their concerns about not being invited to meetings that required their presence. Only business stakeholders were invited. He suggested the presence of community representatives during meetings. Mr P Maloyi (ANC) said that everything mentioned was a repetition of the discussions on 28 November 2017. There should be a circulation of the 400-page document from MTO among the Members. A second suggestion was a deadline from the Department when they were expected to complete the exercise requested from them on 28 November 2017, and report back to the Committee. He said the deadline must be short because of the limited time they had because of the need for progress on issues raised by communities. Ms A Steyn (DA) agreed with everything discussed, and suggested that a list of everyone invited to all meetings by the Department should be circulated, because there had been complaints that people were not invited to meetings. She proposed that there should be a meeting with the DRDLR, as it would shed light on the progress of what was happening concerning land claims and evictions. She raised a concern about the proposed legislation, as it was not helping them solve their issues, and suggested it should be put on hold. The Chairperson asked the Committee to agree with the proposal put forward by Mr Maloyi. All issues should be investigated by the Council, and there should be a presentation of the report. The report submitted by the Department had not been helpful regarding issues raised by the companies. Land issues must be given to the Council to investigate for the Department, because they were the implementers and reports must be submitted. She said Ms Steyn had raised a critical issue on the second item of the deliberation of the National Foresta Amendment Bill. There was no need to wait. They needed to get feedback from Parliament on which amendments were beneficial and which ones were not. The Chairperson asked the Committee for their comment on item two. Ms Steyn agreed with the proposal. The Bill should be discussed and amended the way they wanted it to help communities. Mr Madella said they should be aware of time, so it could not be an open-ended or indefinite process. Ms Phumelele Ngema, Parliamentary Legal Advisor, said a lot of work needed to be done before coming up with feedback. They had restricted their research and understanding to the scope. Therefore, the whole Act needed to be reviewed, because the scope was now broader and would take into account the complaints and difficulties brought forward by the Committee. She said it would not be easy to specify a timeframe with the additional workload. They would squeeze themselves and work on the issues brought up, but estimating a timeframe for completion of the task was challenging. Mr Maloyi said that a report should be submitted to them during the last week of March, and they could proceed from there. The Chairperson agreed with the suggestion of Mr Maloyi, and said that it should not affect their oversight. Mr Kruger made a request to the “legal eagles” that look at the Act through the eyes of small business, and to consider the effect of “red tape,” because this was what big businesses used to kill small businesses. A good example of red tape was the 300 days to get a water licence. The Chairperson supported the suggestion. They would get the briefing before the last week of the oversight period. Ms Steyn asked for an update from the Department concerning the fruit fly outbreak, as it was currently affecting food imports and exports. Ms Ndudane said that they had received an update from their colleagues in the Department who were working on the matter, but the report was still in progress. The Department was working with stakeholders to identify the outbreak, and was expecting a report by the end of the day. She could not provide details because it was not her area of expertise. The Chairperson said that the report would be submitted and circulated to Members.